A bit better way to lock this (or any other annoying) executable file is by using your Windows Group Policies. Type "gpedit.msc" and press Enter. This will open the Local Group Policy Editor. Navigate to "Local Computer Policy \ Computer Configuration \ Windows Settings \ Security Settings \ Software Restriction Policies"
Chances are, your policies are empty. 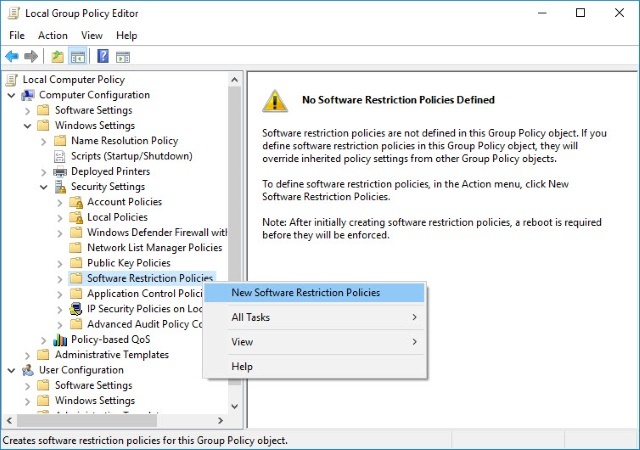 In that case - right-click the Software Restriction Policies and check the first option to create new policies. You will see new items appearing in the tree. Navigate to Additional Rules, then in the right pane right-click in empty space. Select “New path rule”. 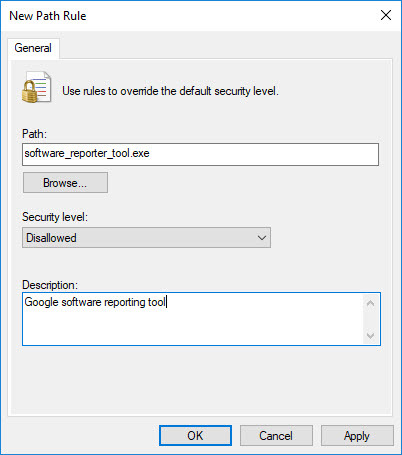 Type the name of the executable file there – “software_reporter_tool.exe”. Press OK. That’s it, this tool won’t run again, even after Chrome update or re-installation, by any user of this computer.